The bulk user upload and download feature of the Refined Training platform allows administrators to quickly and easily upload or download lists of users to and from the platform. Any upload to the platform requires the user upload file template. It is important to use this template to ensure that all columns of data are formatted correctly and can be understood by the platform. Download the template at the bottom of this article and save the file as a CSV file. Not all columns in the user upload template are required. Any columns not used can be deleted from the CSV file. Conversely, if needing columns other than what appears on the template, Moodle offers additional options which can be added to the template. State and postcode fields are not a part of standard Moodle and are customized fields created by Refined Data Solutions. These custom fields appear in the general section of the user profile and need to be added to the user upload file in the same style as a custom profile field. The short names of the custom profile fields are rt_state and rt_postcode. Manager and location allow for the creation of a hierarchy structure for reporting by assigning users to a specific location and/or manager. The LMS allows managers to manage a team within the LMS. Location allows users to be associated with locations. When using these fields in the user upload you must refer to the location and manager by their database ID number. To learn more click here. Refined tokens allows password-type tokens to be generated and issued to distributors and redeemed for courses. The column in the upload file is simply referred to as token and you enter the token value associated with the user. Tokens can be used to enroll users in courses, assign them to a specific Manager and / or Location and assign users to a specific system role. To learn more click here. Custom profile fields capture and store information about users in their LMS profile. These fields can be included in a bulk user upload. Learn more here. 1. The country field must be a two-letter value for the country. To determine the correct two-letter code, check the associated language strings by navigating to site administration >>>> language >>>> language customization >>>> core: countries.php. The country code can also be revised in the language string. For more information on using this file, see the article on Custom Profile Fields. 2. The time zone column needs to reflect the Moodle standard in your system and typed exactly as shown in the time zone drop down field in the user account form. 3. The setting Existing user details: Override with file will sometimes produce an error during a user upload. When updating existing user accounts using the Bulk user upload feature, simply select "Add new and update existing users" under the Upload type option on the preview upload page and this will be sufficient. The download of users from the system can download approximately 1500 users, depending on profile variables. 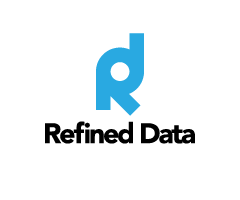 If needing downloads of additional information of user profile fields not included in the bulk user actions, use the Report Builder to create a report capturing the needed information or contact support@refineddata.com.